Further to my last blog post about what privacy law is, why is privacy law so hot right now? The rise of the Internet means that billions of people are now connected and able to share information among themselves. People may disclose private information only to find it used in unintentional ways or exploited in certain circumstances. For example, a hacker breaking into the right network has access to millions of people’s sensitive information, financial or otherwise. John Mulligan, Target's chief financial officer, said the retailer was "deeply sorry" for a breach that affected both the payment data of 40 million customers and the personal data, such as phone numbers and addresses, of as many as 70 million people. As these kinds of incidents occur, legislators worldwide are engaged in the effort to create laws that will prevent such incidents or remedy the damages to individuals that such incidents cause. Breach notification laws that are in place in each state are one such example. Likewise, laws are increasingly emerging that restrict the use of information that is meant to remain private but that may be viewed by unintentional audiences. When a few wayward employers asked interviewees for their social media passwords in 2012 and 2013, legislators passed statutes prohibiting the practice. Another reason for the rise of privacy law is the onset of “big data,” meaning voluminous amounts of information collected by companies and the government. For example, one Senate report estimated that private companies already collect, mine, and sell as many as 75,000 individual data points on each consumer. These data points can be manipulated in shocking ways. For example, by analyzing large amounts of data around the shopping practices of newly pregnant women, Target identified a teenage girl’s pregnancy by her shopping habits and sent her mailers on baby products before she even broke the news of her pregnancy to her family. Her enraged father, who berated a Target employee about pregnancy mailers being sent to his innocent teenage daughter, later apologized when he found out that his daughter was, in fact, pregnant. Such practices around big data obviously have social and moral implications that society doesn't want to let proliferate unchecked. Thus, courts and regulatory agencies are passing laws around them. Lastly, the increasing amount of communication that the Internet generates leads to new resentments by consumers, as they find no refuge from the calls, emails, and letters trying to sell them something. This in turn puts pressure on legislatures to create regulations such as the CAN-SPAM Act and the Do Not Call lists that affect most businesses that market even a little bit. 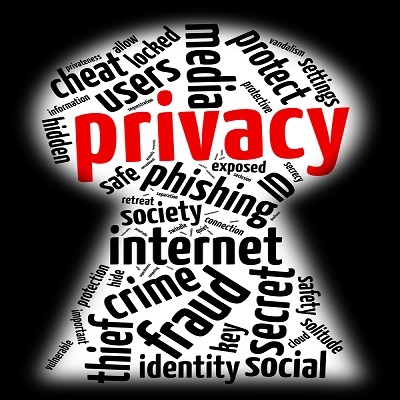 Some form of privacy law impacts all business, so it’s critical to consider how your business is utilizing personal data and what you need to do to protect that data. The great benefit of complying with privacy law, aside from being law-abiding, is that it generates positive PR. If your business is already compliant with privacy laws, let your customers, clients, or employees know that you take care of their information and how.